If you have a toothache there is no reason to continue suffering. Call today for emergency care with Dr. Sirin. Even if you are not currently a patient of ours, or have not been to the dentist in years, that is still okay. We are here to help. Our job is to get you out of pain quickly and comfortably. A toothache can be caused by an infection in the pulp of the tooth. The pulp is in the center of the connective tissue inside your tooth as acts like an alarm system for the brain. When the pulp becomes inflamed or infected it can be a sign of a possible need for a root canal. But, there is no reason to fear a root canal treatment if one is needed. An emergency visit will not involve a root canal but will be a quick relief of pain and Dr. Sirin will discuss what will be needed for follow up care. It is important to Dr. Sirin that you are comfortable and will take the steps necessary to accomplish that. If you have a toothache it may be caused by infection, a broken or cracked tooth, or perhaps a damaged filling. You may also have suffered a tooth that has been knocked out or problems with a crown, bridge or dental implant. These are all valid reasons to call Dr. Sirin and should be dealt with immediately. He will not only relieve your pain, but will also make the core problem easier to fix than if it has been left unattended for a long period of time. If you have suffered damage to your dental bonding or perhaps have a chipped tooth, Dr. Sirin considers these esthetic emergencies as well. He has attended post-graduate training in cosmetic dentrisry and can provide dental bonding services to you the same day you call. Many dental patients are anxious over treatment options. Our gentle and effective care has helped many overcome their anxiety. Dr. Sirin also provides nitrous oxide sedation when necessary. 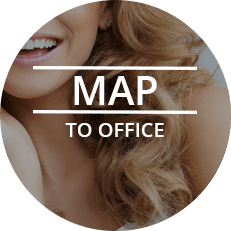 Our focus is to relieve you of pain, resolve any issues with your teeth, and help you feel at home when you visit our office. Do not let an unexpected dental emergency disrupt your life. 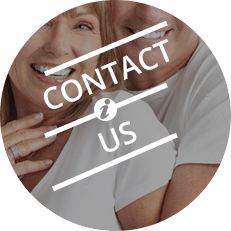 Contact us today to receive the relief you need.